along with Nadia Steinzor, from Earthworks. piplines/compressors, come out and show support. There are two different communities there. The town of Buckingham is the exact opposite. so access to public schools has been only recent. Very poor, people of color. The people there are largely have no internet. I said, they have no internet there. Most people are not online. present will likely be forced to close its doors if the station is built. Please come and support if you can. This people are very cut-off. people looking after them, checking in on their progress. 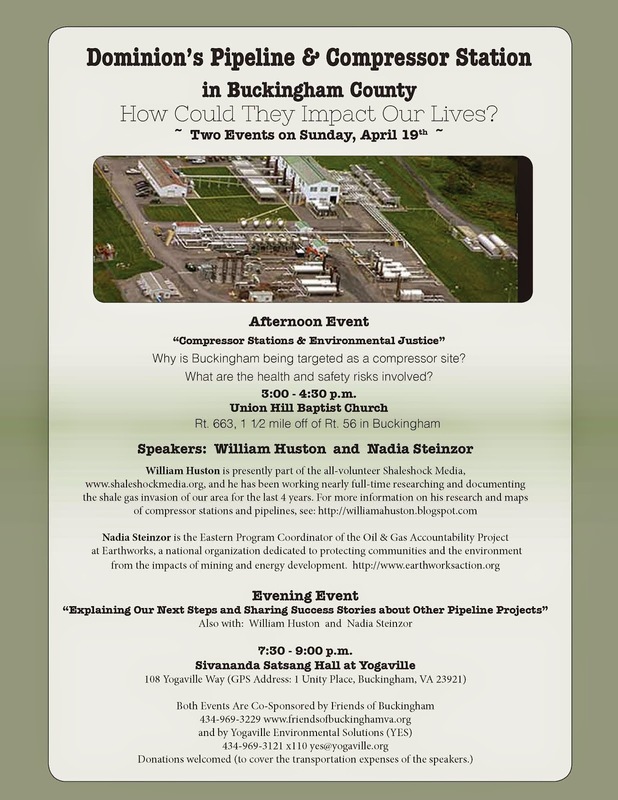 Please share this on ACP lists, and VA pipeline and VA environment lists. I am thinking about the new FERC commissioner and chair Norman Bay. We do not know how he will act. He's largely a blank slate. He is like a pair of dice before being tossed. all of us very carefully. We must remember -- We have incredible power here. Our efforts can and are having a profound impact. for the goal of protecting and preserving life. " I believe this intention can help "collapse the quantum wave function"
material reality with our thoughts, speech, and deeds. We can influence Norman Bay's actions.